The Tourist is a 2010 American romantic thriller film co-written and directed by Florian Henckel von Donnersmarck and starring Angelina Jolie, Johnny Depp, Paul Bettany, and Timothy Dalton. It is a remake of the 2005 French film Anthony Zimmer. GK Films financed and produced the film, with Sony Pictures Worldwide Acquisitions releasing it in most countries through Columbia Pictures. The $100 million budget film went on to gross $278 million at the worldwide box office. Despite negative reception from the critics, the film was nominated for three Golden Globes, with a debate arising over the question as to whether it was a comedy or a drama. Henckel von Donnersmarck repeatedly stated it was neither genre, calling it "a travel romance with thriller elements," but that if he had to choose between the two, he would choose comedy. A British woman, Elise Clifton-Ward, is being followed by French police who are working with Scotland Yard under the direction of Inspector John Acheson. Acheson has spent years hunting Alexander Pearce, Elise's husband, who owes £744 million in back taxes, and is believed to have received plastic surgery to alter his appearance. He is also being hunted by Reginald Shaw, a mobster from whom Pearce stole $2.3 billion. At a Parisian cafe, Elise receives written instructions from Pearce: Board the train to Venice, Italy; pick out a man; let the police believe that he is Pearce. Elise burns the note, evades the police and boards the train. On the train, Elise selects Frank Tupelo, a mathematics teacher from a community college in Wisconsin. The police salvage information about the plan from the remains of the burned note. Aware of her location, but not of the ruse, an informer from the police station advises Shaw that Pearce is on the train to Venice with Elise. Shaw immediately proceeds to Venice. Elise invites Frank to stay with her at the Hotel Danieli in Venice. Pearce leaves instructions for Elise to attend a ball. Elise abandons Frank, who is chased by Shaw's men. While trying to escape, Frank is detained by the Italian police. A corrupt inspector turns him over to Shaw's men for a bounty. Elise rescues Frank just before he is handed over, leading Shaw's men on an extended boat chase and finally escaping. She leaves Frank at the airport with his passport and money, urging him to go home for his own safety. Elise is revealed to be an undercover Scotland Yard agent who was under suspension for her suspected sympathies with Pearce. She agrees to participate in a sting operation. At the ball, as Elise tries to find Pearce, a man places an envelope on her table and disappears into the crowd. She tries to follow him, but is stopped by Frank, who claims to be in love with her and invites her to dance. The police arrive and arrest Frank. Elise reads the note and leaves in her boat, tailed by Shaw. Both parties are followed by the police. When Elise lands, Shaw takes her hostage, threatening to harm her unless she reveals the location of the money Pearce stole. The police monitor the situation via hidden cameras. Acheson repeatedly refuses to allow police snipers to intervene to rescue Elise. While the police are occupied in monitoring the situation, Frank escapes and confronts Shaw, claiming to be Pearce and offering to open the safe if Elise is allowed to leave. Shaw tells Frank to open the safe or he will have Elise tortured. Chief Inspector Jones arrives at the police stake-out, overrides Acheson, and orders the snipers to fire, killing Shaw and his men. To Elise's obvious pleasure, Jones lifts her suspension and terminates her employment. Acheson receives a message that Pearce has been found nearby. On arrival, he learns he police have detained an Englishman. The man says he is only a tourist being paid to follow instructions and is not Pearce. Elise tells Frank that she loves him, but she also loves Pearce. Frank opens the safe by entering the correct code, revealing that he is really Alexander Pearce. When the police open the safe they find one cheque for £744 million. Acheson prepares to pursue Pearce, but Jones overrides him since the taxes are now paid. Jones closes the case and Pearce and Elise sail away. The project went through a number of directorial and cast changes. Originally, the film was set with Lasse Hallström, with Charlize Theron playing the lead. But Hallström left, allegedly over scheduling conflicts. Bharat Nalluri then came on, as did Tom Cruise, who was later replaced by Sam Worthington. When Jolie accepted her role, so did filmmaker Florian Henckel von Donnersmarck; but he left citing "creative differences" along with Worthington. After many names were considered, including Alfonso Cuarón, Henckel von Donnersmarck returned, re-wrote the script in two weeks, and shot the film in 58 days (including 2nd unit days), with Johnny Depp taking the lead. Henckel von Donnersmarck was assisted by stunt coordinator Simon Crane who devised the boat action sequence. In the DVD director's commentary, Henckel von Donnersmarck recounts that the film's one action sequence was devised by Simon Crane to allow for the speed limitations imposed on boats in Venice. This speed limit was strictly enforced by the Venetian authorities and there was a policeman on set at all times to make sure no wave movement would let the pillars (on which the palazzi are built) be exposed to oxygen. Henckel von Donnersmarck and Crane felt that if one boat was towing the other, this could perhaps be a realistic reason for a slow speed chase. Filming began in Paris with Jolie on February 23, 2010, and moved to Venice where Depp joined the production on March 1. The whole film was made in only a little over 11 months, counting from the day Henckel von Donnersmarck came on board to re-write and direct to the day of the premiere in New York. The film had to be shot so quickly because Depp had to leave for Hawaii to start filming the fourth film of the Pirates of the Caribbean franchise. The reason post-production had to happen so quickly was because all commercially interesting release dates in 2011 were reserved for the potential start of Pirates of the Caribbean: On Stranger Tides. The hotel featured in the film is the Hotel Danieli. French minister of culture Frédéric Mitterrand visited Florian Henckel von Donnersmarck on the set of The Tourist, Place Colette. The film repeatedly uses symbolism revolving around the Roman god Janus. It's the Roman god, Janus. My mother gave it to me when I was little. She wanted to teach me that people have two sides. A good side, a bad side, a past, a future. And that we must accept both in someone we love. The safe in Pearce's apartment is hidden behind a Janus-relief. Finally, it is revealed that Alexander Pearce has obtained a new face with the help of plastic surgery. The film's Russian gangsters Virginsky (Igor Jijikine), Lebyadkin (Vladimir Orlov), Liputin (Vladimir Tevlovski), Fedka (Alec Utgoff) and Shigalyov (Mark Zak) all carry names from Fyodor Dostoyevsky's 1873 political novel Demons. First-credited screenwriter and director Donnersmarck has talked of his childhood obsession with the Russian writer, and the Dostoyevskian theme of corrupt police and government resonates throughout the entire film. On Rotten Tomatoes, the film has an approval rating of 20% based on 168 reviews and an average rating of 4.3/10. The site's critical consensus reads, "The scenery and the stars are undeniably beautiful, but they can't make up for The Tourist's slow, muddled plot, or the lack of chemistry between Johnny Depp and Angelina Jolie." On Metacritic, the film has a score of 37 out of 100 based on 37 critics, indicating "generally unfavorable reviews". Audiences polled by CinemaScore gave the film an average grade of "B" on an A+ to F scale. Roger Ebert also gave the film 2 out of 4 stars. Peter Travers of Rolling Stone gave the film 0 out of 4 stars, and put the film on his list for the top 10 worst films of 2010. Positive English-language reviews include the Daily Mail, which gave it 5 out of 5 stars, calling the film "a glossy, sophisticated, gloriously improbable romp — escapist fun for these austere times". The film also received good reviews in the German press. Stephanie Zacharek, a Rotten Tomatoes Top Critic, listed the film as one of her "10 Best Movies of 2010." She called it "a visually sensuous picture made with tender attention to detail and an elegant, understated sense of humor". Casey Burchby of DVD Talk acknowledged that the movie was "beautifully shot by the accomplished Oscar-winner John Seale," but that the "hastily-prepared film does not care one iota about its characters." Alex Zane of The Sun said, "If you sit back, and enjoy the eye candy of the stars and locations, at least one cold winter night might fly by." At the 2011 Golden Globe Awards, Ricky Gervais made fun of the film while he was presenting. In a scripted, fictional encounter written by Gervais and Stephen Merchant, Johnny Depp questioned Gervais following the incident on the show Life's Too Short. Depp reminded Gervais that the film has been very successful and had grossed $278 million. This dig from Depp was aimed at Gervais' two Hollywood films he had filmed at that point in his career, which were Ghost Town and The Invention of Lying. The films grossed $27 million and $32 million respectively. The film was nominated for three Golden Globe Awards: Best Musical or Comedy, Depp for Actor Musical or Comedy, and Jolie for Actress Musical or Comedy. The fact that a film originally promoted as a romantic thriller was nominated for the comedy category garnered the film and the Golden Globes considerable mockery. It was later revealed that the film was originally submitted by the studio as a drama, but Henckel von Donnersmarck then told the HFPA that the film should be categorized as a comedy. HFPA President Phil Berk said, "Given the differing opinions, we asked the studio to screen the film for us in advance, and collectively, we decided that the elements of preposterous fun lent the film more to a comedy than a straight drama category." The soundtrack CD of The Tourist was released on December 21, 2010. ^ Fritz, Ben (December 9, 2010). "Movie Projector: New 'Narnia' looks solid, 'Tourist' will struggle as Christmas movie season begins". Los Angeles Times. Tribune Company. Retrieved December 9, 2010. ^ a b "The Tourist (2010)". Box Office Mojo. March 10, 2011. Retrieved July 6, 2011. ^ Fleming, Mike (October 28, 2009). "King Coins "The Tourist" at Col". Variety. Archived from the original on January 4, 2010. ^ Tim Appelo, Globe Comedy Nom for 'The Tourist': Now, That's Funny, The Hollywood Reporter, December 14, 2010, accessed February 2, 2011. ^ "See Brad and Angelina's Bosnia Date Night Before His Parents Arrived in Venice!". PopSugar.com. April 14, 2010. Retrieved October 8, 2010. ^ "Review: The Tourist". NewCityFilm.com. Newcity Communications, Inc. December 10, 2010. Retrieved July 30, 2013. ^ Paul Asay (2011). "The Tourist: Video Review". PluggedIn.com. Focus on the Family. Retrieved July 30, 2013. ^ Dieter Wunderlich. "The Tourist (movie review)". DieterWunderlich.de. Dieter Wunderlich. Retrieved July 30, 2013. ^ "La vida de los otros (Florian Henckel von Donnersmarck)". TheQuietMan.org. Retrieved July 30, 2013. ^ Annette Maria Rupprecht. "The Lives of Others: Interview - Florian Henckel von Donnersmarck (A Man of Stature)". Cineuropa.org. Cineuropa. Retrieved July 30, 2013. ^ Roe, Ivan (1972). 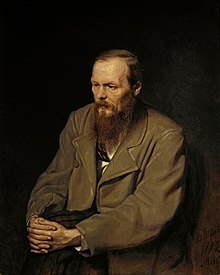 The breath of corruption; an interpretation of Dostoievsky. PG3328 Z6 R55: Kennikat Press. ^ Cooke, Paul (2013). "The Lives of Others" and Contemporary German Film: A Companion. DE GRUYTER. pp. 221–240. ISBN 9783110268102. ^ "The Tourist (2010)". Rotten Tomatoes. Retrieved February 25, 2011. ^ "The Tourist". Metacritic. Retrieved August 27, 2013. 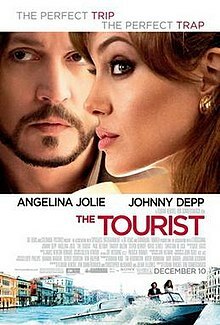 ^ The Tourist :: rogerebert.com :: Reviews. Chicago Sun-Times. Retrieved December 11, 2010. ^ Peter Travers (December 9, 2010). "The Tourist | Rolling Stone Movies | Movie Reviews". Rollingstone.com. Retrieved April 30, 2011. ^ "1. The Tourist". Rolling Stone. Retrieved April 22, 2011. ^ Tookey, Chris (December 14, 2010). "The Tourist: A very Jolie adventure for Johnny". London: Daily Mail. Retrieved December 15, 2010. ^ "Was treiben Angelina Jolie & Johnny Depp in Venedig?". Bild. Retrieved August 26, 2013. ^ "Donnersmarck-Film "The Tourist": Putzig mit Popo". Spiegel. Retrieved August 26, 2013. ^ "Stephanie Zacharek's 10 Best Movies of 2010". Movieline. Retrieved April 30, 2011. ^ "The Tourist : DVD Talk Review of the DVD Video". Dvdtalk.com. Retrieved April 30, 2011. ^ Zane, Alex. "It's a Jolie holiday". The Sun. Retrieved August 26, 2013. ^ "Ghost Town (2008) - Box Office Mojo". boxofficemojo.com. Retrieved March 12, 2016. ^ "The Invention of Lying (2009) - Box Office Mojo". boxofficemojo.com. Retrieved March 12, 2016. ^ a b "The 68th Annual Golden Globe Awards NOMINATIONS | OFFICIAL WEBSITE of the HFPA and the GOLDEN GLOBE AWARDS". Goldenglobes.org. December 14, 2010. Retrieved April 30, 2011. ^ "HFPA - Nominations and Winners 2010". Retrieved December 22, 2010. ^ Tim Appelo, 'Tourist' as Comedy Was the Director's Idea. ^ Monger, James Christopher. "The Tourist (soundtrack review)". AllMusic. Retrieved August 30, 2014.